It's fall and the fall-like weather has finally arrived! Although for the past month, it felt like summer and the leaves were still green so I baked some pumpkin goodies to get in the fall spirit. I turned to some old favorites to kick off this season's baking. These pumpkin doughnuts are a a yearly staple during this time of year. It's just a stinking good recipe and if you don't have a doughnut pan, they will work well as muffins. Head over to King Arthur Flour for the recipe. 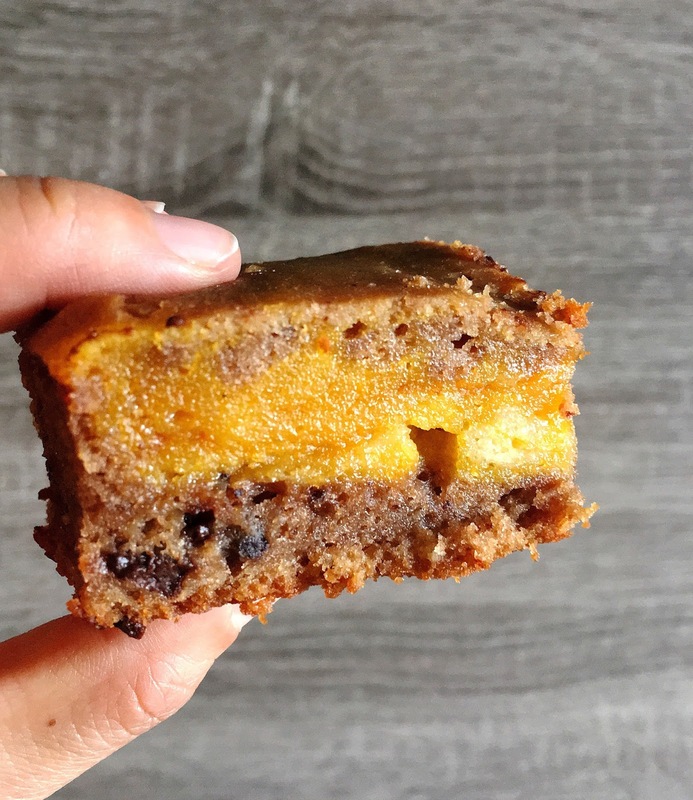 Pumpkin Chocolate Mochi Cake is a chewy, beautiful, buttery cake that is one of my favorite ways to use mochi flours. JustJenn is like the mochi flour queen and her recipe for pumpkin chocolate mochi cake is wonderful. And I found a non cake-like pumpkin cookie recipe that has the perfect pop of pumpkin spice (the addition of pumpkin to cookie recipes usually yields a cakey, muffin top-like cookie and I've finally found a recipe that doesn't make cakey cookies!). These Chewy Pumpkin Chocolate Chip Cookies from Dessert Now Dinner Later are a great addition to my pumpkin baking repertoire.